Center hole in backer allows for use with water-fed tool. 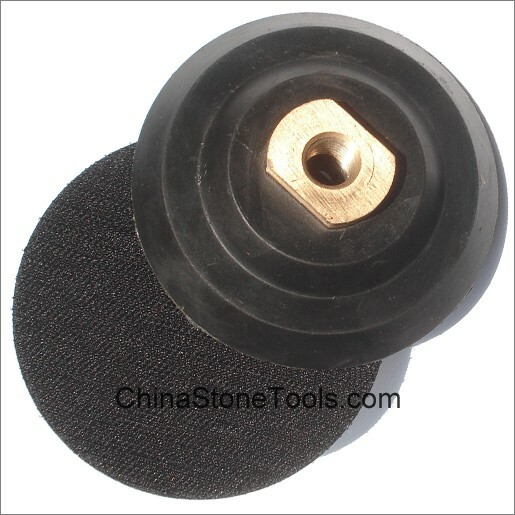 Can be used with most any pad: sandpaper, sanding discs, diamond polishing pads, lambs wool bonnet, wool pile, synthetic pile, foam buff. The Above Products are not available from Store, the production needs about 10-15 days on receipt of Order Confirmation. The Photo of this product is only for reference. 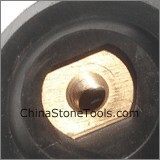 Other specification is available according to customer's requirements. Related Article: What is a Pad Backer? Flexible Velcro Backer Pad, Longest lasting backer pads available. Made with high quality durable rubber. Unique groves give it a smoother flex and longer last.